[UPDATED] It was the #1 search term on Catholic APPtitude in 2018: “Catholic missal.” And no wonder. Since a missal contains all the prayers, readings and chants along with some directions (rubrics) to help us participate at Mass, it is reasonable that this useful collection of texts would be wanted on a personal digital device. Digital missals are the wave of the future for two reasons: they are easy and convenient to use and come with flexible formatting tools to help make text more comfortable to read. Catholic missal apps are all about making it easier for folks in the pews to participate more fully at Mass given a variety of hindrances out there. For example, not all churches provide complete missals which contain all the readings and prayers, particularly for daily Mass. Perhaps your particular pew is missing its missal booklet. Relax. You have a missal app. Need to attend a Mass offered in a language not your own–perhaps you’re in a foreign country? Relax. You have a missal app. Did you forget to bring your reading glasses? Relax. You have a missal app wherein you may bump up the font size! Didn’t memorize English Mass responses and prayers entirely, and that cheat sheet has vanished from your pew? Relax. You have a missal app. Not enough missalettes in your pew for everyone to read? You get the point. The practical aspects aside, missal apps are not perfect in that they do not necessarily offer precise texts. For example, variations in missals in English-speaking countries are not always accounted for and optional choices may or may not be included in the missal app for the day’s text. It is recommended that you verify before using. Perhaps the biggest question: May I read from a Catholic missal app on my mobile device during Mass? Unless instructed not to, the answer is YES. These apps were designed for that purpose. However, it is advised to take careful consideration of others around you in the pews. Please read our Etiquette for using a cell phone in church. Even if you don’t read from your mobile device at Mass, the texts are always available for you to read before going to church so you are more fully prepared. Let’s take a look at some of the better-quality Roman Catholic missal apps out there for both the Ordinary Form (Novus Ordo/post-Vatican II era) and Extraordinary Form (Pre-1962/Latin) of Mass. Read carefully through the reviews to choose an app that best fits your particular needs and device format. iMissal– ($4.99) Apple, Android , Blackberry Kindle Fire. (Windows Phone version is $6.99). Ordinary Form of the Roman Catholic Mass. Here’s a link explaining all the features of this great app which comes fully loaded. Just click the day on the little calendar and voilà, the Liturgy of the Word readings are there in proper order AND linked to their iMissal Bible (NABre) integrated directly with iMissal so that you can jump from Mass readings and Bible verses directly into iMissal Bible for full contextual reference (another reason to get this app). Please note that the Bible is a separate purchase ($9.99) and only available on iOS format at this time. The text on iMissal is easy to read because you can bump up the text size with the zoom-in tool or set it to desired size in settings. Text is re-formatted to fit when you zoom. Very helpful so you can read comfortably in your pew without holding your smartphone to your face which distracts people around you. Internet/phone connection is NOT needed to run this app’s basic features like Mass text and Bible, so you can have confidence that you always have the text for the day with you. Updates include Our Daily Bread (verses linked to iMissal’s bible); audio readings (requires internet connection) which can aid lectors with pronunciation, HQ video of Mass from CatholicTV (requires internet connection), and much more. My only complaint is the occasional omission and inaccuracy which I warn about in the disclaimer above. For instance, in 2013 the feast day was incorrect on August 12 (for USA) and on October 28 the Gospel was completely omitted from the readings. In 2014, Friday within the Octave of Easter still offered the Feast of St. Mark with no other options to change the text to the correct feast. Apps are not flawless, so it pays to trust but verify, especially if you are planning to use them in a public setting or at a public Mass. Because of inconsistencies with the Sacramentary, we do not recommend iMissal’s Roman Missal for priests to use saying Mass here in the United States. For example, we note incorrect feast days or incorrect Collects and Prefaces for the day. For this reason, the U.S. priests who tested Missal apps for us prefer to use the Roman Missal in iBreviary (Ordinary Form in English 3rd edition) when they say Mass using a tablet. iMissal is available only in English as developers await the USCCB approval for the Spanish lectionary which they report will be forthcoming. You do not need an internet connection to run this app for the basic features like Mass texts. That includes the Bible which also works off line. The Roman Missal English/Latin ($2.73) Android. Imagine a Missal app created with input from priests and lay people who celebrate or hear Mass daily and work in collaboration with publishers of the Roman Missal since 1989 in English Speaking countries. The result is a most comprehensive Missal app designed with an interface that requires minimal navigation when celebrating or attending Mass. Internet connection is not needed to operate. You can even have your texts in Latin, if you prefer. According to the developers: “The app contains all the prayers and readings used in Mass for the Liturgical year. The English texts for the Order of Mass and Prefaces are from the 3rd Edition. The Order of Mass and Prefaces can be displayed in English, Latin or Both. The Entrance and Communion Antiphons, the Gospel Acclamations, and responses to the Psalms are in English and Latin. The app can be used offline, unlike the other Missal apps that require an online connection to download the prayers or readings for the day. Additionally, it contains the complete supplement of the Roman Missal for use in the Philippines (i.e. Simbang Gabi masses, Feast of the Sto. Nino, etc.). We are working to add more supplements for the English speaking dioceses and territories all over the world. The app has an implementation of the General Roman Calendar that automatically displays the celebration for the day for any day of any year, forever. The app then loads the proper index pages for the respective season. The app has handy buttons that correspond to the ribbon markers in the printed missal. Laudate (Free) Apple and Android. This probably is the #1 free Catholic app because it offers so much. It is hands-down best value in a Catholic app. Available in English, Español, Português, Italiano, Bahasa and Polski, Slovenian and Latin. You get: Daily Mass Readings (for Ordinary and Extraordinary form of the Roman Missal); Liturgy of the Hours; traditional Roman breviary (1960) available in Latin with a split-screen translation in English; New American Bible; Rosary; Chaplet of Divine Mercy (on Rosary screen); Stations of the Cross; a wide assortment of Church documents; Confession app; link to the Pope App; partial audio Bible (with in-app ability to purchase more audio files); texts of various prayers and prayers in Latin with English translation; podcast for Rosary and Stations; daily meditations; podcasts of daily readings and meditations; launcher for iCatholicRadio. You also have an ability to bookmark prayers, podcasts and create your own categorized prayers; export/Import for prayers. NAB Bible is available when connected to internet. A Douay-Rheims Bible is local so you don’t need to be connected to the internet. This makes for a large file, so they recommend moving the app to your phone’s SD card. This app also includes LOTS of prayers. iBreviary (Free) Apple , Android, Windows 7, Blackberry (direct download), and on the browser of your mobile phone. Web-based device access (for Kindle, Nook and your computer etc.) Kindle Fire and Kindle Fire HD A portable breviary AND complete Roman Missal all in one app –plus more. To access daily Mass readings simply open the app, select the “Pray!” button and then select “Missal.” All the readings are there to scroll through in order IF you have internet connection or downloaded the day’s content beforehand. The text font is appropriately churchy on a parchment-like background so your neighbors aren’t distracted by bright white light off your device. Note for Priests using the Sacramentary: There is a learning curve for navigating the Sacramentary, but it is fairly easy to master after a few run-throughs or use of the tutorial. A MASS EDITOR has been added which gives priests the ability to create all the texts of the Mass on one page, adding the text of the homily, announcements, readings, etc. so all they have to do is scroll through all the texts that are in complete order. The Mass text created can use both ferial texts, as well as texts from the Common of Saints, Votive Masses, etc. The problem with this new feature is the excessive amount of scrolling needed to get to the specific part of the Mass text needed (because so many optional texts are included in your “created” version). You don’t want to do that while saying Mass. The priests who tested this app find the older version of using the menu along the left side –in landscape view– is much simpler. Set up for Mass on the road. 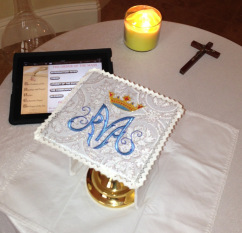 Note the iPad is using iBreviary set to begin the Mass for the day. The priest enjoys relatively easy navigation in landscape mode with menu options on the left. Using an iPad, iBreviary can be used in place of the traditional missal on the altar if you are without your Sacramentary. Imagine being on the road and saying Mass in a variety of non-church settings [see photo]. But world-wide, the debate on the appropriateness of this use continues. Some priests object to this unless in a pinch. Others have had a great experience with using an iPad in place of a printed missal. New Zeland bishops have forbidden its use by priests in that country. You need internet/phone connection to operate this app. However, you can download a week of liturgies stored in a separate cache in case you are going to be in an area with no internet access (like your sanctuary!) Make sure all the particular texts you need are there before beginning Mass. This app is not biased toward the United States calendar, for example. USA Today report and this report. Vatican endorsed. 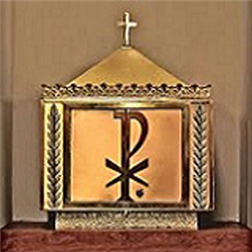 x Catholic Mega App (Free) Apple and Android Imagine jotting down all the very basic apps and web sites and blogs and podcasts and liturgical books and Catholic apologetics and prayers that you would want on your mobile device. That list might well match the offerings in the appropriately-named Catholic Mega App which bundled all those items and even more into their product. And like Catholic Apptitude, they concentrated on linking only the very best resources out there for you. So, you don’t just get any old Liturgy of the Hours, for instance, you get the popular iBreviary and DivineOffice.org links. That is considerate, indeed. Let’s open up this free gift and see what’s inside: Order of Mass, daily readings, Breviary, reading reflections, interactive Rosary, Stations of the Cross, the Confession App [the same developer], NABRE Catholic Bible, links to popular Catholic blogs and web sites, pro-life-resources, youth ministry resources, link to the Catechism of the Catholic Church and many prayers. Then it throws in a bunch of interactive social media options like a prayer wall, discussion board, a photo gallery input option, and links to Facebook and Twitter and Pinterest accounts of the Catholic celebrities–Pope Francis, US bishops and EWTN. Whew! And navigation is easily accomplished by holding your phone in one hand and using one thumb (Thumbs up to that!) The downside? Because most all of the resources are linked, you have to be connected to the internet to use most features of this app (other than the note pad). But for the price, this app is well worth the real estate it takes on your mobile device. Go ahead and consider it as the first all-in-one app you download IF your device is constantly connected to the internet. Magnificat (first month Free; in-app subscription purchase $1.99 for each subsequent month) Apple Enjoy the popular daily devotional on your Apple mobile device for half the price of the print booklet subscription. (Developers have promised to produce an Android version for a long time). Just as with the print booklet, you get the daily Mass readings along with antiphons, Collect, Preface, and closing prayer. But Magnificat doesn’t stop there. You also get all their other popular spiritual resources at your fingertips: Scripture reflections, saint of the day, blessings, morning and evening prayer based on Liturgy of the Hours, hymn texts and music, Lectio Divina, liturgical calendar and more. You will be impressed with the spiritual value of much of the content in this classic devotional. While you will miss the beautiful art that the print version offers, many find this app version easier to read and navigate (especially on a tablet device) than the little 4 1/2″ x 6 1/2″ booklet. This US English edition also comes in Spanish and French. Again, the app is free for subscribers to the printed version of the US edition (need registration for access). Otherwise, it is free from the day you install the app until the end of the month; then you can subscribe online or buy each month through the App Store. Verbum (Free for basic components including a Roman Missal in English) Apple and Android and Kindle Fire and Mac and PC. This is a Catholic Bible study app under the Logos Bible Software product line which created a Catholic version under the brand, Verbum. Not all Bible study apps are created equally. This one caters uniquely to Catholic study in that it incorporates sacred scripture and tradition. In addition to being a world-class app for studying the Bible, Verbum includes a Missal containing the complete lectionary (Scripture readings) for Mass. You should have a Bible app anyway, so as long as you’re shopping for a Missal app, why not get the very best Catholic Bible study app available on the market that also happens to come with the Mass readings? The price is right: Free! 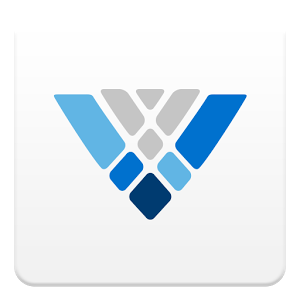 Read more about Verbum in our page on Bible Apps. Missale Romanum Apple ($10.99) Android ($13.57) Looking for the complete Roman Missal in Latin and/or Spanish (approved for use in Spain)? Here it is. The easy navigation allows priests to set their pages in preparation for Mass. Here’s how: tabs replace ribbons and the tabs remember the last page accessed. Preset buttons allow you to set certain pages to access like readings, so you can navigate to them rapidly. Contains complete liturgical calendar, but sensitivity to your particular location/country may not be accurate. LANGUAGES: Currently the only languages available are Latin and Spanish which you can view as a single language or in split screen with two languages simultaneously. Partial versions are available in these languages: Latin-English, Spanish-English, Latin-Italian, Spanish-Italian. It is anticipate these languages will be available in full versions over time. Check out this video to see how the app works. Catholic’s Companion Windows Phone only (Free or .99 cents) The free version of A Catholic’s Companion has ads. To get this app without ads check out the paid version of Catholic’s Companion for 99 cents. Among the many features of this app you will find daily Mass readings (no Missal). If you want to watch a video of the day’s Mass on line, it has a direct link to CatholicTV’s filmed daily Mass. On a Windows Phone 8 the speed with which you access this video is incredible. Mobi-Catholic (Free) Windows Phone only. If all you need is a simple app that offers the Mass Readings of the day, this is it. Scroll through the reading set up for you in a nice, readable format. English only. Texts are from the Ordinary Form of the Mass. The New Mass ($2.99) for Apple and Android. Reviewed by CatholicTechTalk. Designed to help the laity learn responses in the Revised English Translation of the Roman Missal (2011, 3rd ed.) Ideal for those in the pews as it separates out each segment of the Mass offering the present translation, the revised 2011 translation and a little catechesis on the “reasons” for each revised translation. This app is very simple to use. The darkened background assures that you won’t have a bright white screen illuminating in your hand, distracting those in the pews. It is nice to have these revised texts with you when traveling, attending churches other than your home parish. With so many nuances in the new English translation, no one can possibly pick up all of them with a few trial runs. This app is valuable to help the congregation learn its new lines with deeper understanding over time. The Gloria and the Creed are the major changes that take time to commit to memory, so this app helps. There are NO Mass readings and no priest parts in this app as it is NOT a complete missal. It is strictly the common text of responses that the congregation recites from a missal. New Missal (Free) Apple and Android. English version of the Roman Missal (3rd Edition). Imagine an app that offers the Missal in the same format as texting, so following the parts of the Mass is intuitive to you. Screen shot is on the right, but check out more on the linked site so you can get a good idea of how this works. Complete with readings which can be synched ahead of time. German and Spanish versions also available. Offers adjustable text size and reflections on the readings. The Mass Explained (Vol. 1) ($24.99) second-generation iPad 2 or newer ONLY. It will not work on an original iPad. Okay, so this is NOT a Missal app. BUT you should know about it as an exceptional means to enhance your understanding of the Mass. This glorious educational app is in a class by itself, and as its price suggests, you get what you pay for and much more. We should all have a richer, more profound understanding of the Mass which is our quintessential point of contact with God. Catechists, school children, seminarians, young adults, bored adults, fidgety adults, non-Catholics, those on a quest for more mystery in their life and Catholics who think they know it all. Well, imagine a book jam-packed with multi-media resources that takes you on a journey in, through and around the subject of the Mass–its origins, history, nuances, principle gestures, principle parts, sacramentals, music, art, Scripture, the language of Jesus and so much more. This app does what all apps should do with the lofty subject of our Catholic faith–push the extreme limits of digital craftsmanship that the reader deserves. THIS is digital evangelization at its very best, and we are indebted to its programer and developer, Dan Gonzalez, for showing everyone in the app world how to make a serious product worthy of the glory of our faith and the dignity of the inquiring soul who touches the glass screen. It is only available on a 2nd generation iPad for a reason. As its developer notes, The Mass Explained takes full advantage of what the Mac can do with hands-on learning that makes the Mass come alive. Explore the significant aspects of historical development with panorama pictures that immerse you into the scene, interactive maps, slide shows, videos with 3-D animations and audio that enables you to listen to prayers and chants in their original languages. Of course, this app comes loaded with foundational documents and works of serious scholarship surrounding the subject. You will never view the Mass the same after sifting through the vast resources at your fingertips. This app alone should entice you to upgrade to a new iPad if you don’t have one already. It’s THAT glorious. Still not convinced? Check out The Mass Explained for a video overview and an impressive list of linked reviews which give highest marks for this exceptional product.This first volume of the Mass Explained app explores the first two parts of the Mass, Introductory Rites and Liturgy of the Word. Developers note that a second volume will be produced to cover the last two sections of the Mass, Liturgy of the Eucharist and Concluding Rites. Available in English only. Also see above: Language settings can be set to Spanish for Laudate and iBreviary apps which are available for Android devices as well as Apple. iMass ($1.99) Apple | Android. Extraordinary Form of the Roman Catholic Mass in Latin (1962 missal). Brought to you by the Priestly Fraternity of St. Peter, this app is supremely easy to use. It provides a complete missal– the text of the Mass of the day according to the 1962 Missal (Latin on left side and English on right side in landscape format)–so you can use it for participation at Mass. Rubrics are included. We downloaded the day’s missal and were able to use it at an EF Mass. This was an effortless task which left us free to concentrate on the Mass itself without the concerns of following ribboned sections of a book. Everything was included in complete order, so all we had to do was scroll to the end. No need to switch to other page links in the app. It’s all there for you. Zoom feature (pinch) can be used for the missal and breviary text, but it doesn’t work on my iPhone for some reason. Outside of an actual church setting, you can watch Masses live or on demand celebrated in the Extraordinary Form courtesy of the Priestly Fraternity of St. Peter at Christ the King Catholic Church in Sarasota, Florida, USA. More info. is at the iMass web site. As they appropriately warn, “This app does not serve to fulfill the Sunday Obligation of going to church and assisting at Mass, however it is an optimal way to unite yourself to the Holy Sacrifice of the Mass at any time of the day or night.” When watching the video version you can use a split screen for the text of the missal. If you do not have a suitable mobile device, you can watch recordings of the Mass on your computer at this web site AND get the day’s missal. Here’s a review by a hard-core user. Also see above: Laudate App which also offers Extraordinary form of the Roman Missal. Magnificat (Free to subscribers of print edition/$1.99 per month if a non-subscriber) Apple only. The official texts of the daily Mass. The App is free for subscribers to the printed version of the USA edition. Otherwise, it is free from the first day you install the App, until the end of the month, then subscribe monthly for $1.99. Presented in a day-by-day format, the MAGNIFICAT App includes: morning, evening, and night prayers inspired by the Liturgy of the Hours; readings and prayers of each daily Mass; daily meditations drawn from the best writings of the Church Fathers as well as recent spiritual masters; and essays on the lives of the saints from yesterday and today. -Single page portrait and beautiful two page book-like landscape viewing on iPad. -Apple Newsstand Subscriptions are available for $1.99/month or $23.99/year. Subscription will automatically renew through your iTunes account until cancelled. 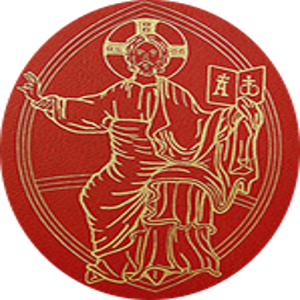 Laudamus Te (digital download) Looking for a similar print form of a devotional guide based on the Scripture readings for the Extraordinary Form of the Roman Catholic Mass (1962)? Check out Laudamus Te, a devotional magazine published 6 times a year. It is only offered as a digital version (order on line and pay by credit card) to download on your computer. It is delivered via email. You get daily Mass readings, meditations, essays, and prayers from the Divine Office. ← Divine Office app 50% off!